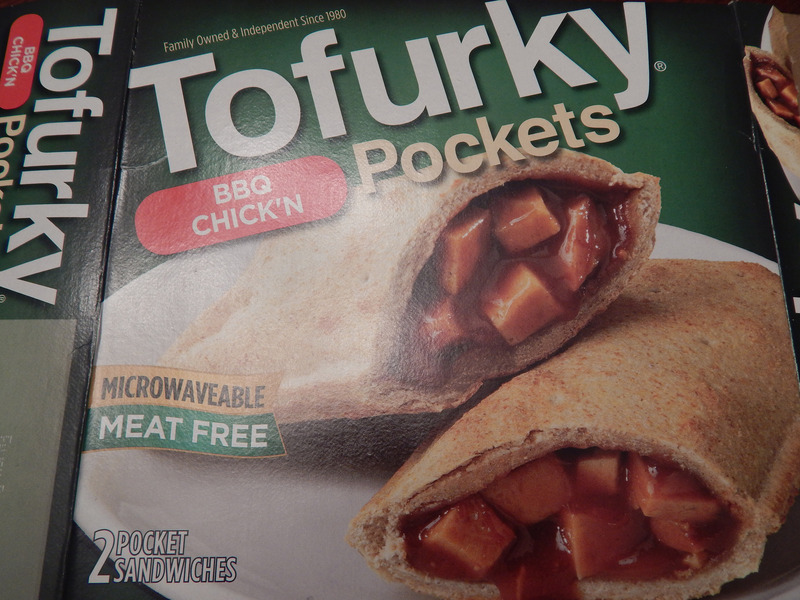 Last summer, Tofurky came out with a line of vegan “hot pockets.” These are finally making their way into Charlotte, NC. 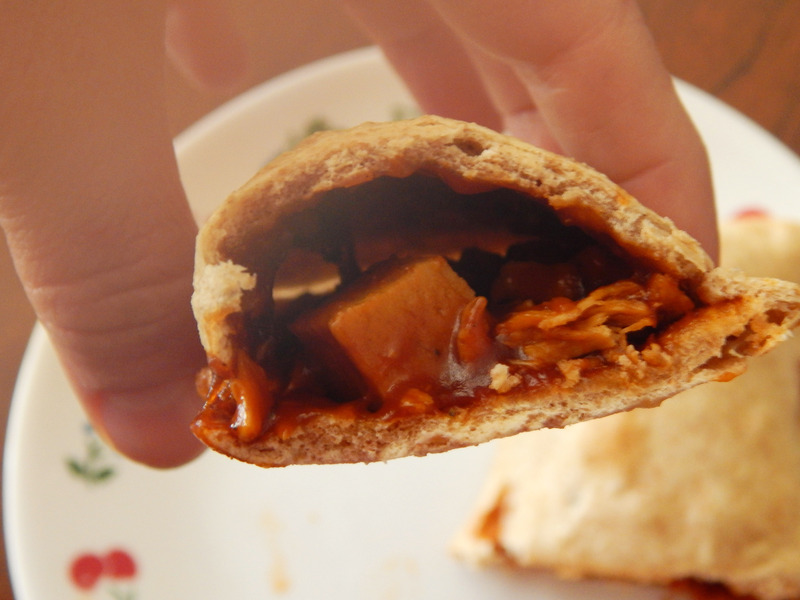 I recently reviewed Tofurky’s Pepperoni Pizza Pockets. The BBQ Chick’N Pocket is the second flavor I tried. Here’s a close up of the half of the pocket sandwich that had the most filling. Even if there had been a proportionate amount of filling, I still couldn’t recommend these. The BBQ sauce was very bland and way too sweet. Ok, so maybe I am a little opinionated on BBQ sauces since I grew up in the South – we can be veeery picky about our BBQ sauces here! But had the sauce been a bit tangier or smokier or hotter it would have made a huge difference! The breading was bland, lacking the spices of the Pepperoni Pizza pocket. It was also rather dry – I’m guessing because there wasn’t enough filling in the sandwich to properly “steam” the bread. Verdict: I can’t recommend this one. It’s not a great value for your money (you’re mainly buying bread) and the overall presentation and taste is lackluster. 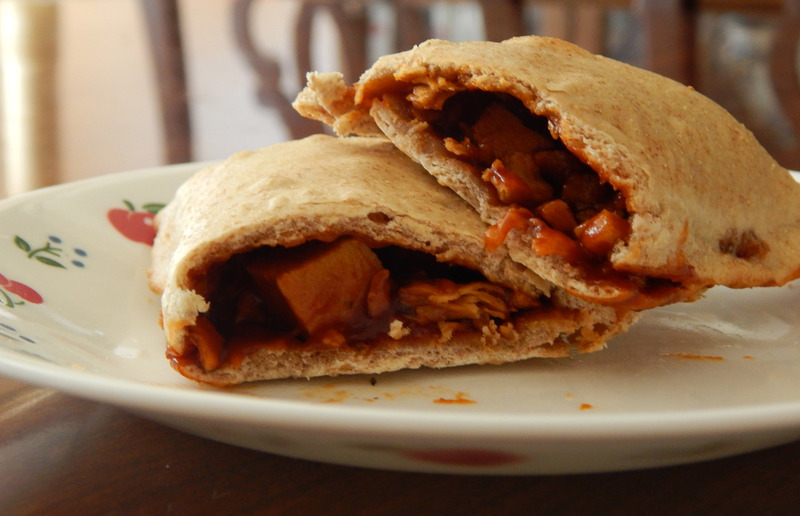 If you’re jonesing for a vegan pocket sandwich, I’d recommend the much superior, if not great, Tofurky Pepperoni Pizza Pocket.